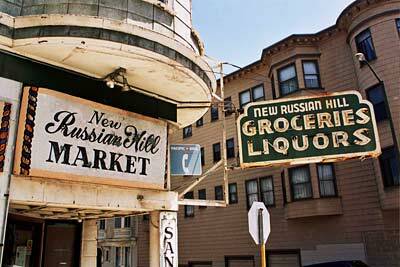 San Francisco still has an amazing number of corner stores. I can probably walk to about half a dozen little markets and liquor stores in a three block radius and I thoroughly enjoy buying at least some of our groceries there. The prices are not much higher than in the overpriced supermarket down the street, but it feels so much better to actually support those stores. Most of the owners are friendly and enjoy a little chat and the city feels much more like a small village in those stores. Shot taken with a Nikon N80 on Kodak Gold 200.